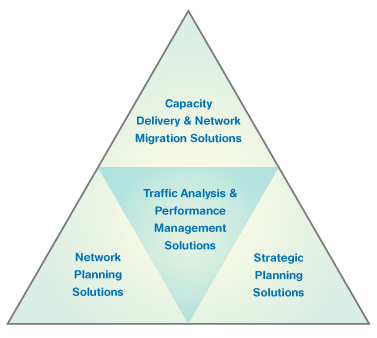 Transport design, provisioning and deployment management supporting service delivery, transfer of network ownership and next generation technology deployments for backhaul, core, access and metro networks. Content delivery and performance management data services to enhance visibility into traffic, manage relationships with content providers and minimize transport costs. 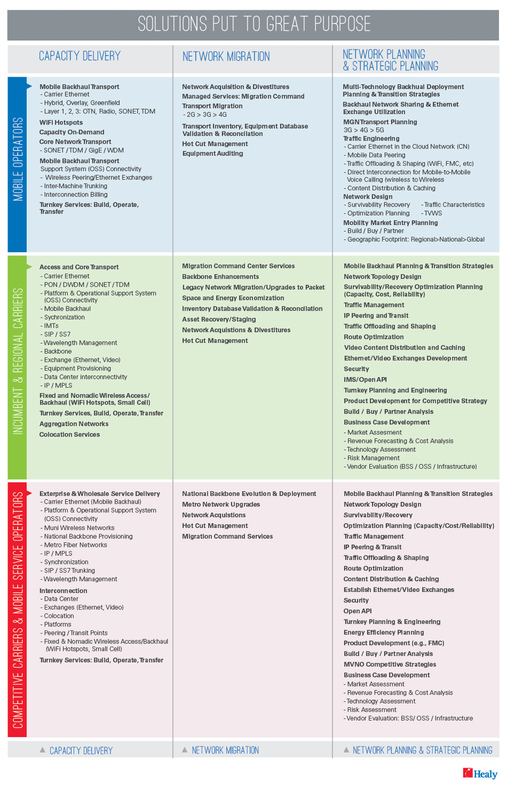 Capacity planning for optimized service delivery and lower operating expenses (OpEx). Transformative network and business strategies to drive growth for mobile operators, facilities-based carriers and virtual service providers. Copyright © 2017 Healy & Co.